Currently, nearly five million children and adults in North America are having orthodontic treatment. For many patients, especially children and teens, a healthy beautiful, smile goes beyond good health, it indicates confidence. "Not only can orthodontic treatment improve health and overall appearance, patients often experience a tremendous boost to their self-esteem when they can smile and not be embarrassed by the condition of their teeth," said Dr. Don Joondeph, an orthodontist in Bellevue, Wash. It's not always easy to tell if your child has an orthodontic problem. However, some signs or habits may indicate the need for an orthodontic examination: early or late loss of baby teeth; difficulty in chewing or biting; mouth breathing; thumb or finger sucking; crowding, misplaced or blocked out teeth; jaws that shift or make sounds; biting the cheek or roof of the mouth; teeth that meet abnormally or not at all; and jaws and teeth that are out of proportion to the rest of the face. If any of the problems above are noted by parents, regardless of your child's age, it is advisable to consult an orthodontist. All children should see an orthodontist no later than age seven for a simple check-up. This quick and painless exam can identify potential problems and ensure that any future treatment is timed appropriately. My child sees a dentist for regular check-ups and cleaning. Why see an orthodontist, too? Orthodontists specialize in the diagnosis, prevention and treatment of dental and facial irregularities. Orthodontists receive an additional two-to-three years of specialized education beyond dental school to learn the proper way to align and straighten teeth. Orthodontists team with your child's dentist to ensure that your child achieves optimal oral health. How quickly will we see results and how much will it cost? Treatment time averages 22 months. Although orthodontic treatment does not produce same-day results, some children may only require limited treatment. In addition, orthodontic treatment is affordable and is often covered by dental insurance plans. 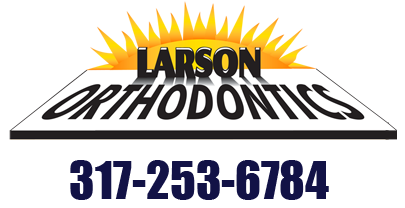 Orthodontists are dentistry's specialists in correcting misaligned teeth and jaws. As specialists, orthodontists limit their practices to providing orthodontic care. Orthodontists receive an additional two to three academic years of specialized education beyond dental school to learn the proper way to align and straighten teeth. Only those with this formal education may call themselves "orthodontists," and only orthodontists are eligible for membership in the AAO.